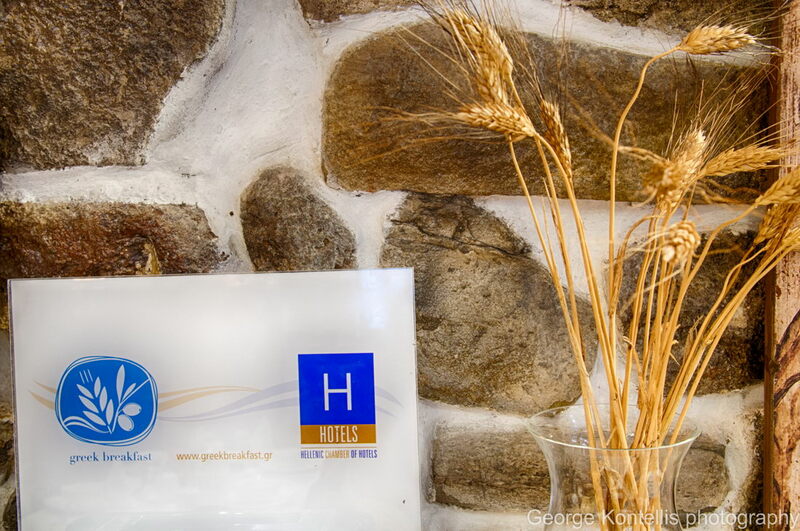 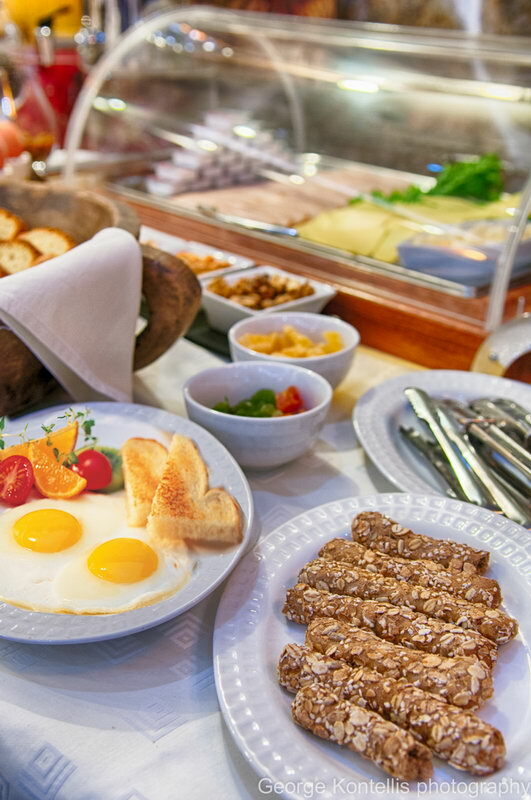 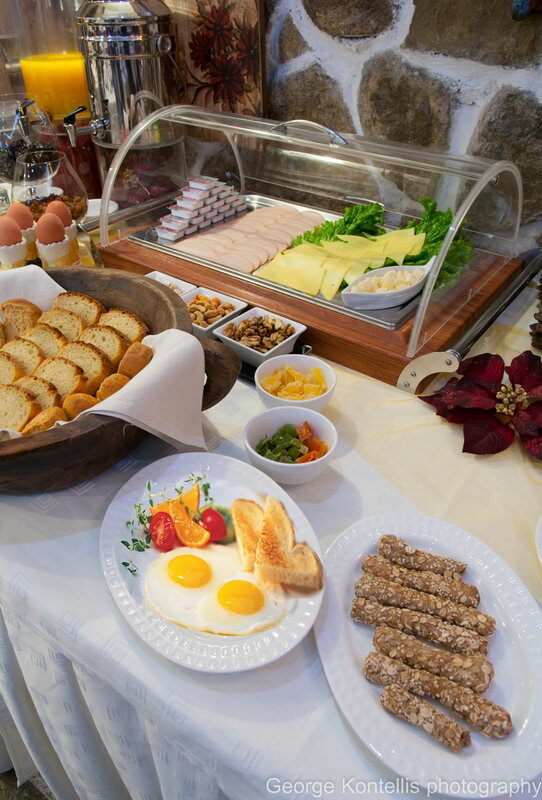 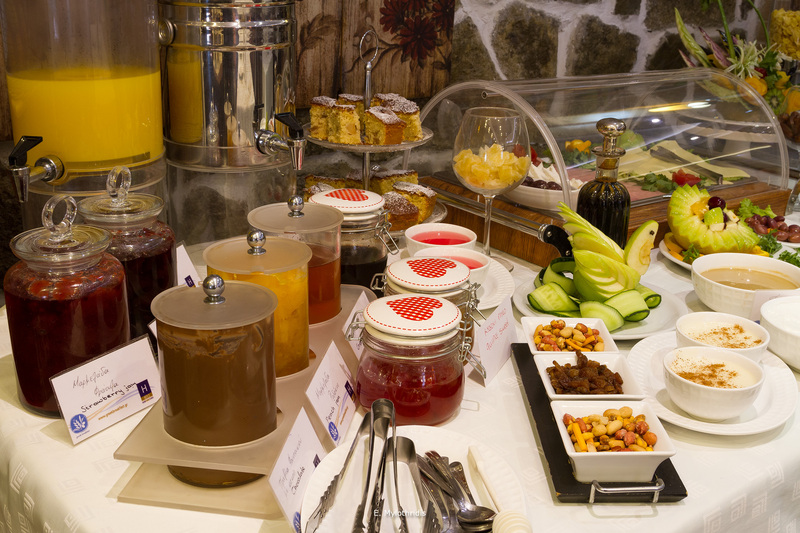 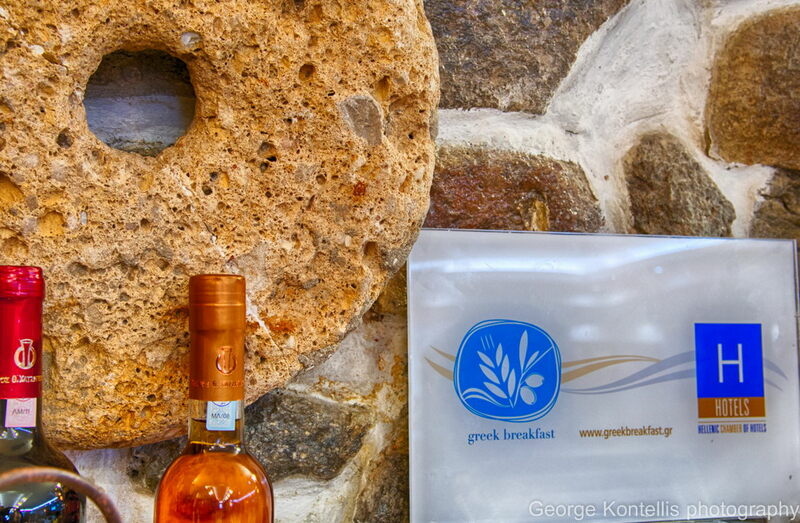 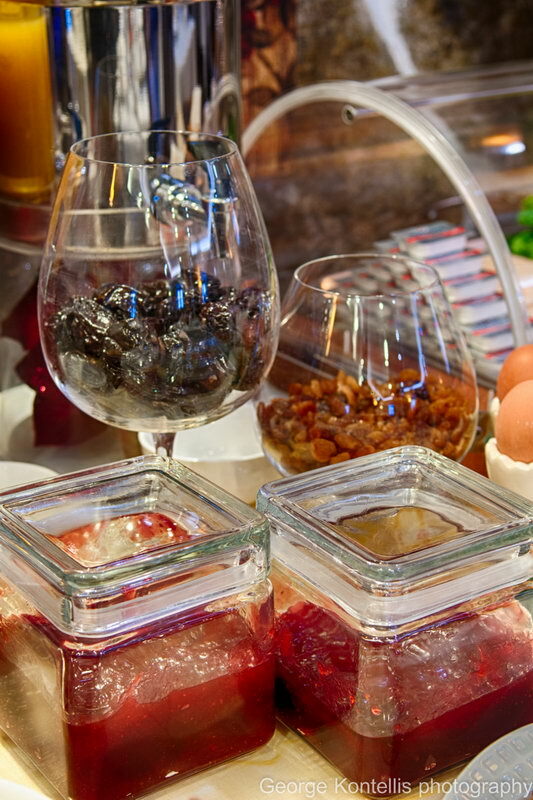 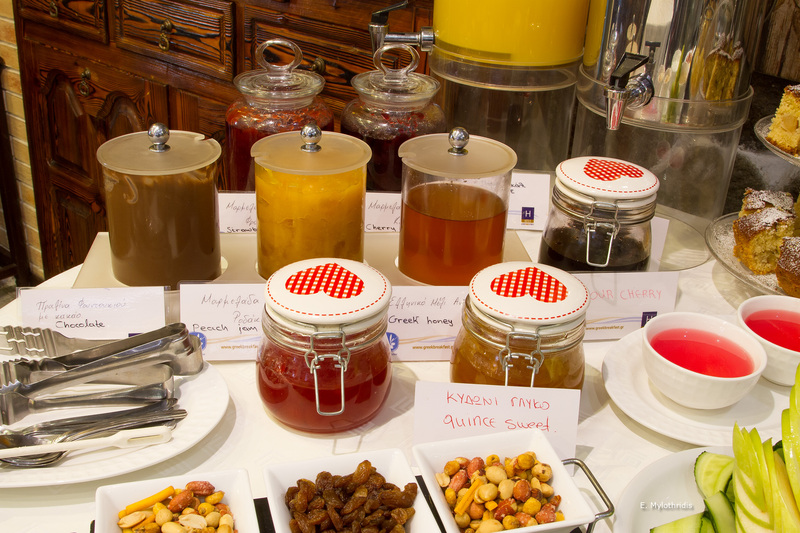 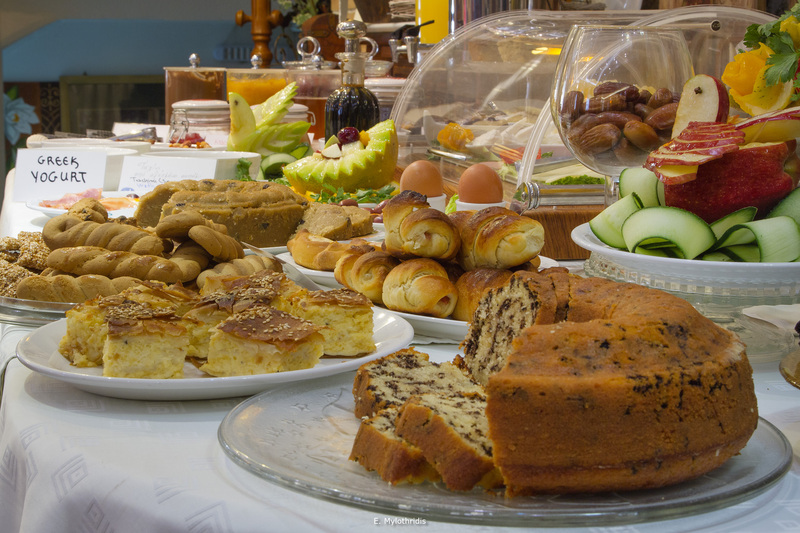 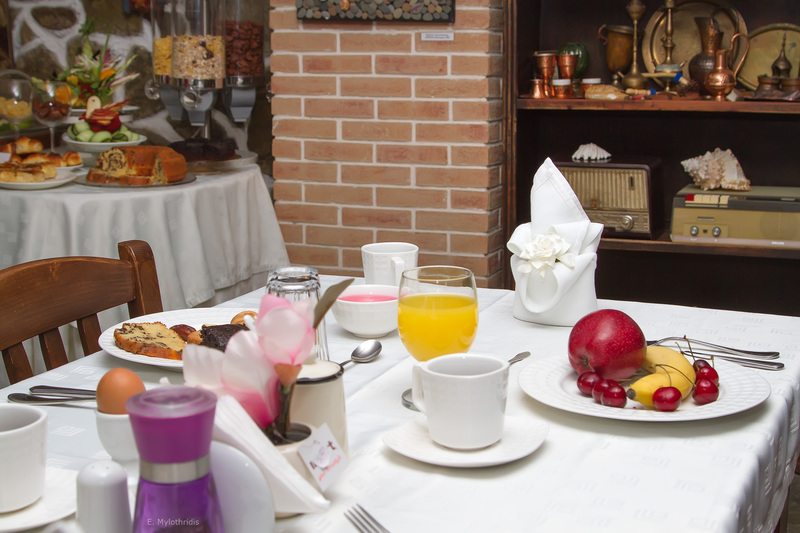 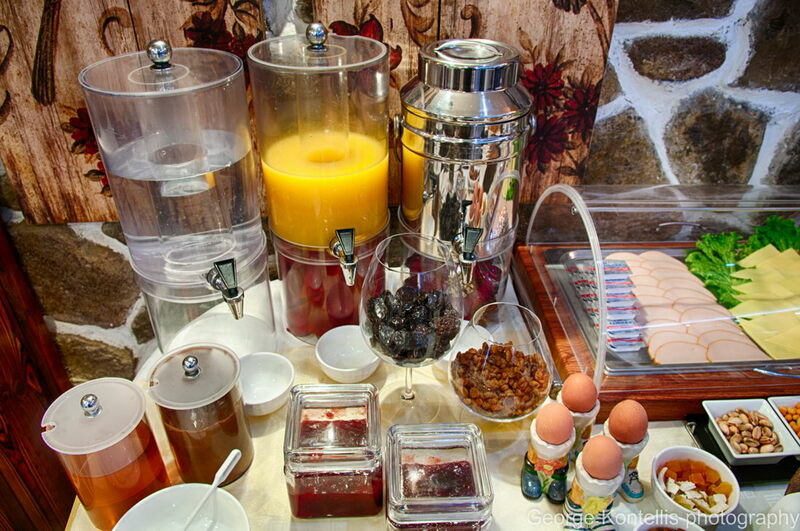 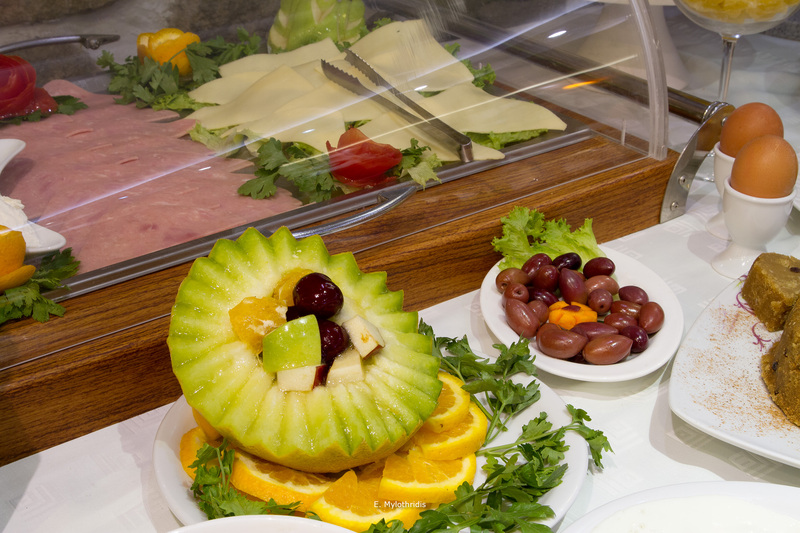 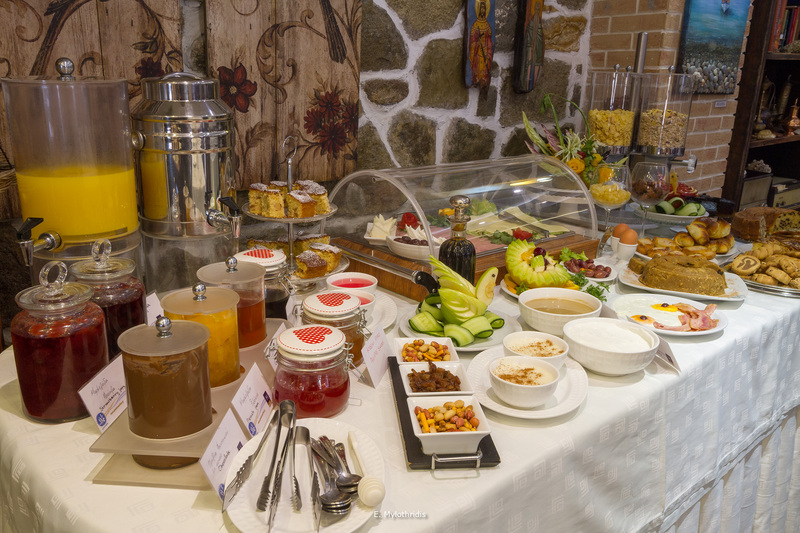 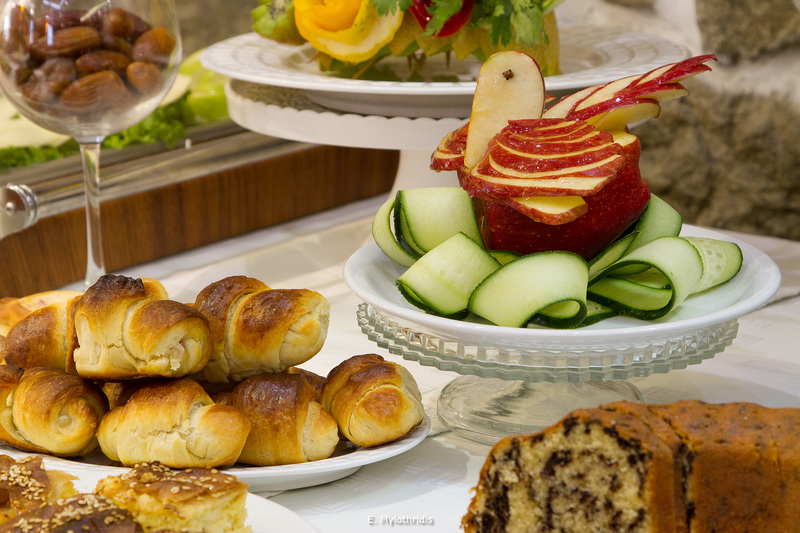 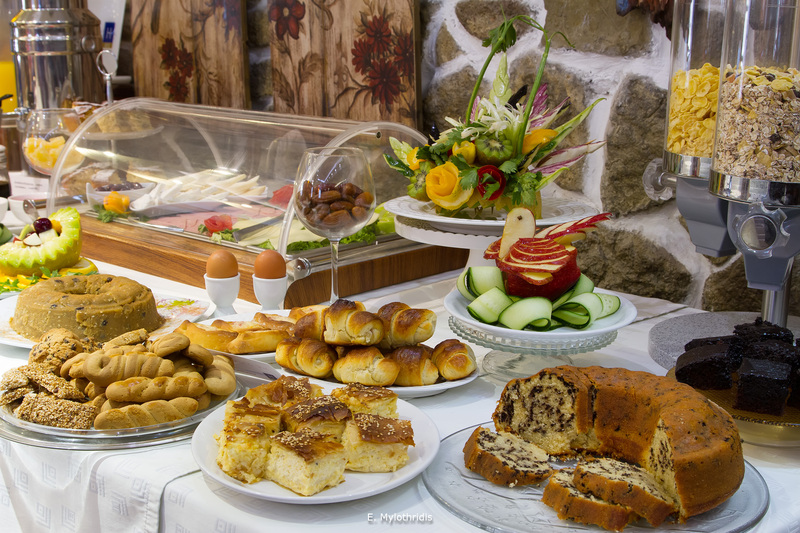 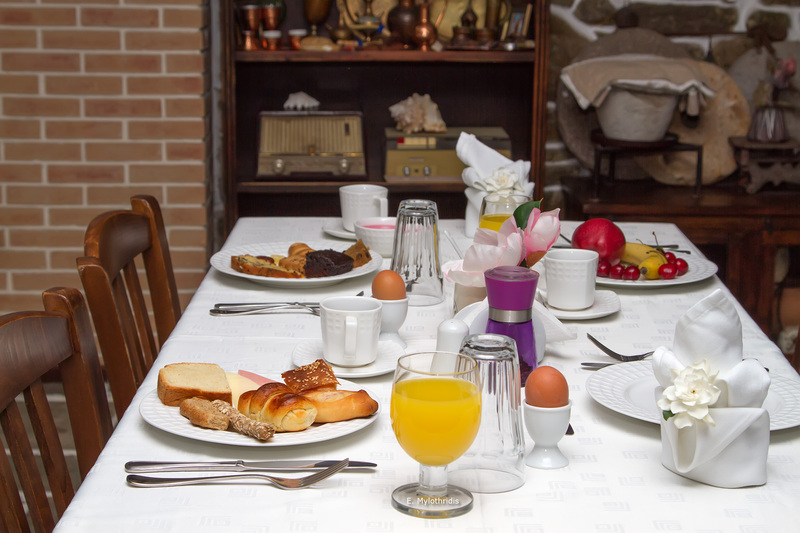 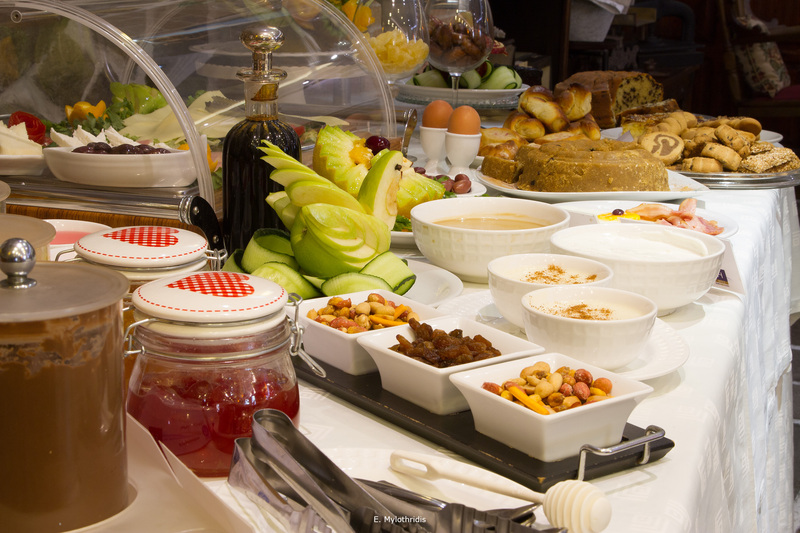 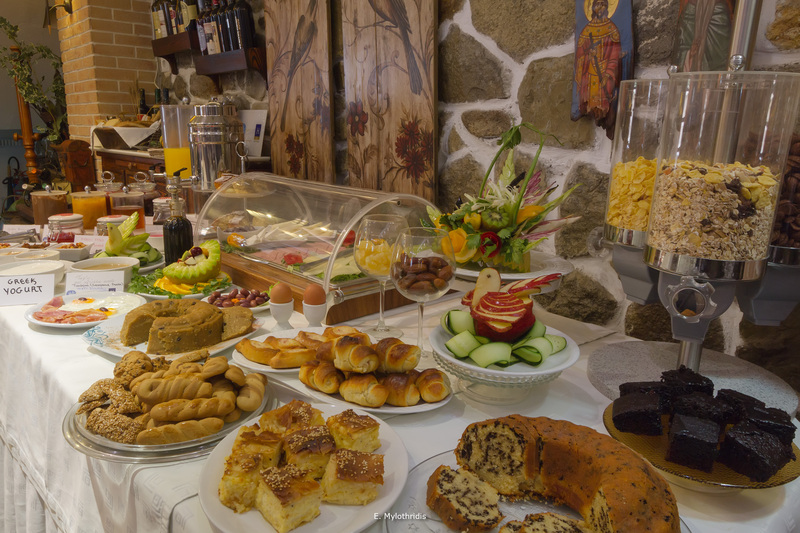 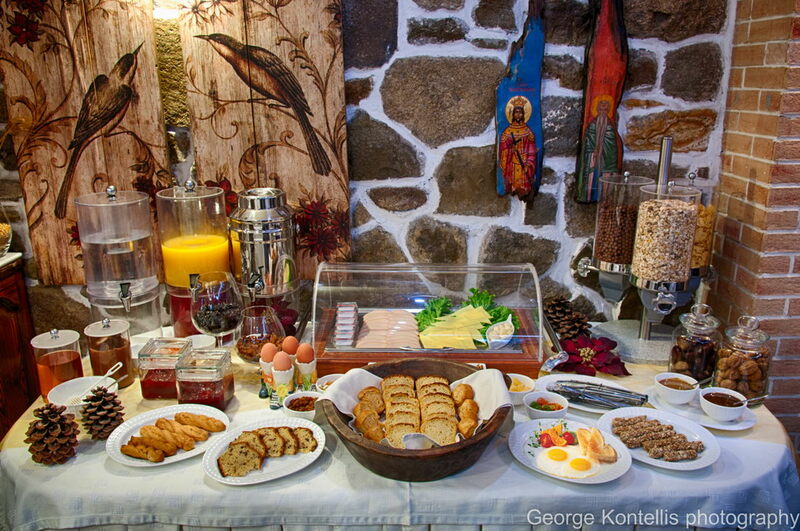 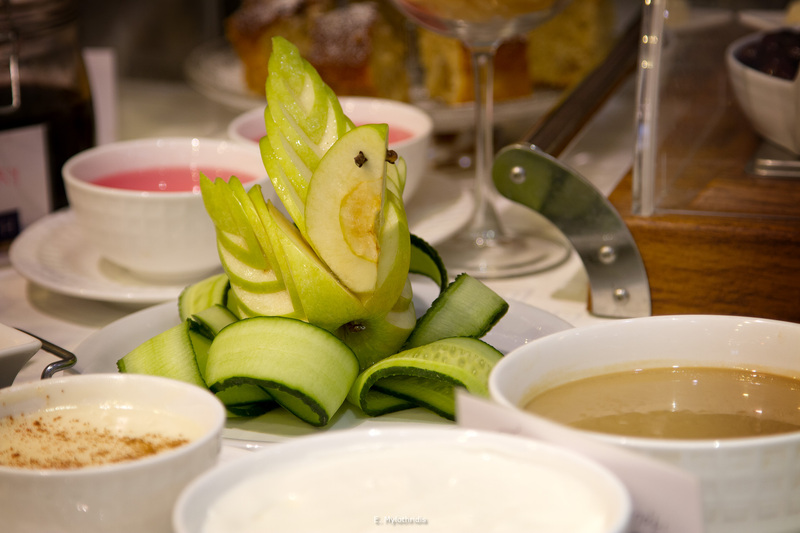 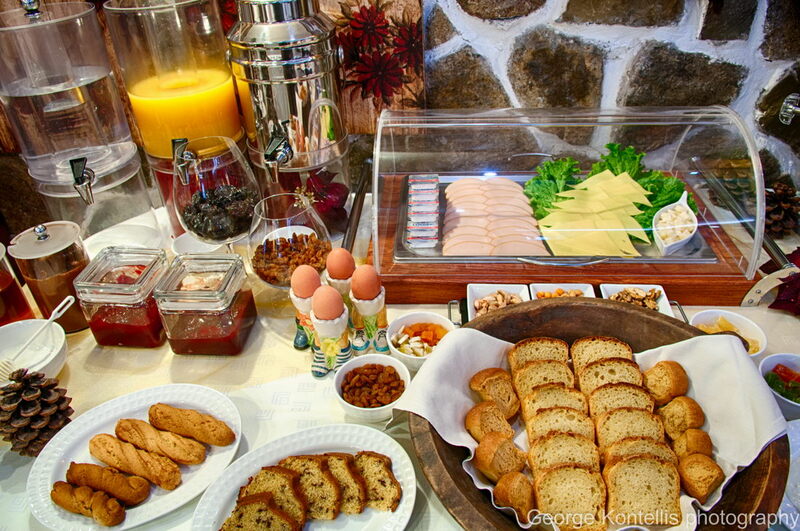 A rich, traditional breakfast is served daily at the dining room of Arxontiko, prepared with care. 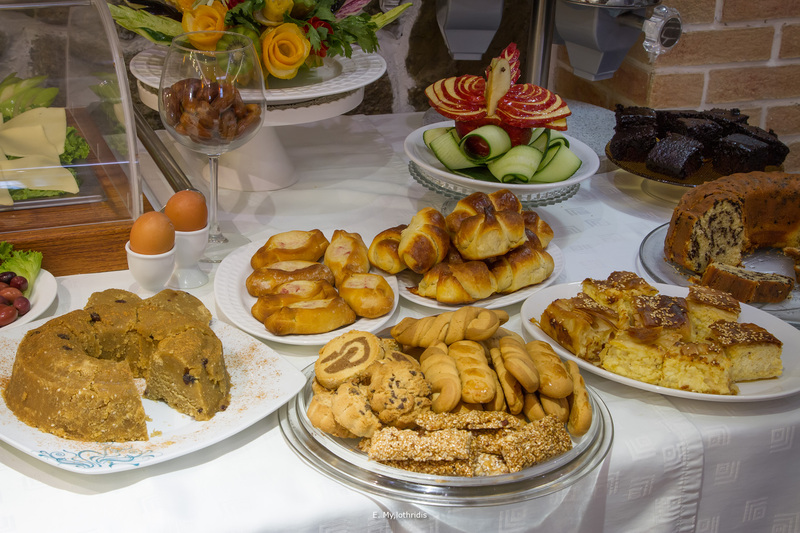 The aromas from the traditional pies, the French toasts, the semolina halva, and the “tiganopites” fill the air. 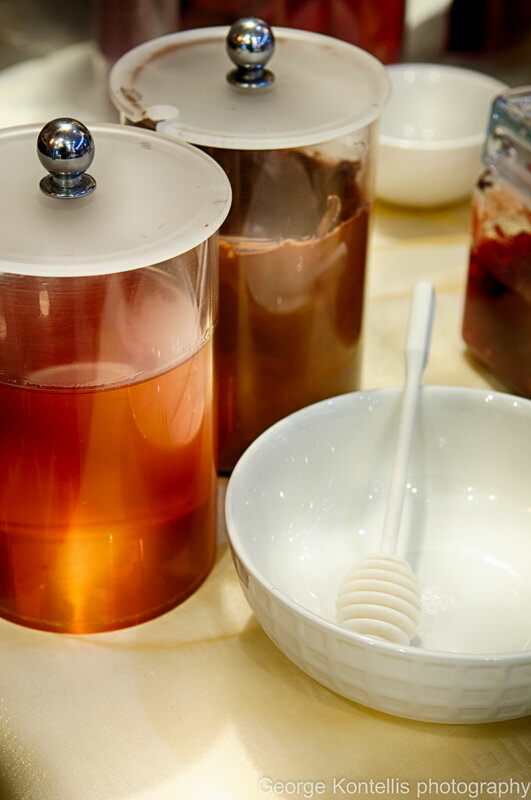 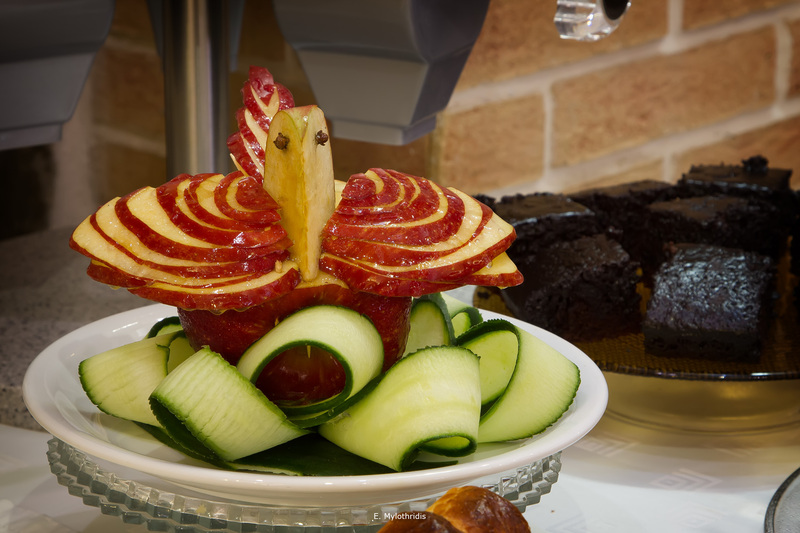 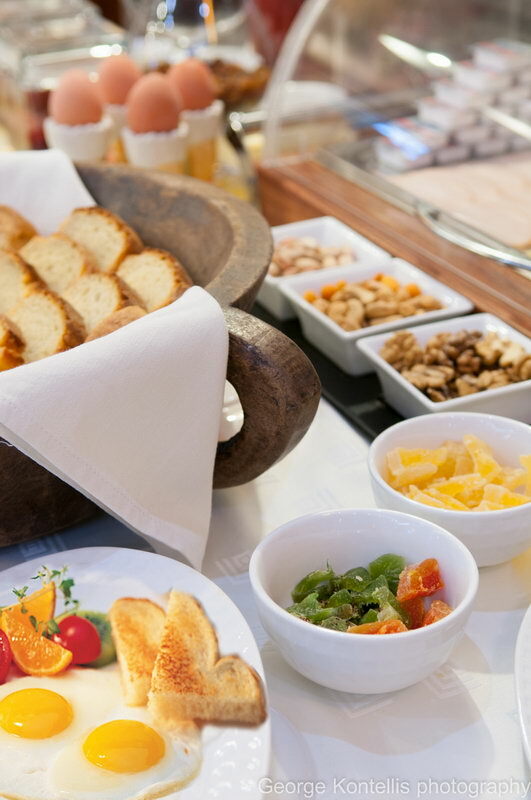 The buffet offers guests fresh bread from the traditional neighborhood baker’s, thyme honey and tahini from local producers, various marmalades, fresh butter, sheep’s yoghurt, a selection of fruit of the season. 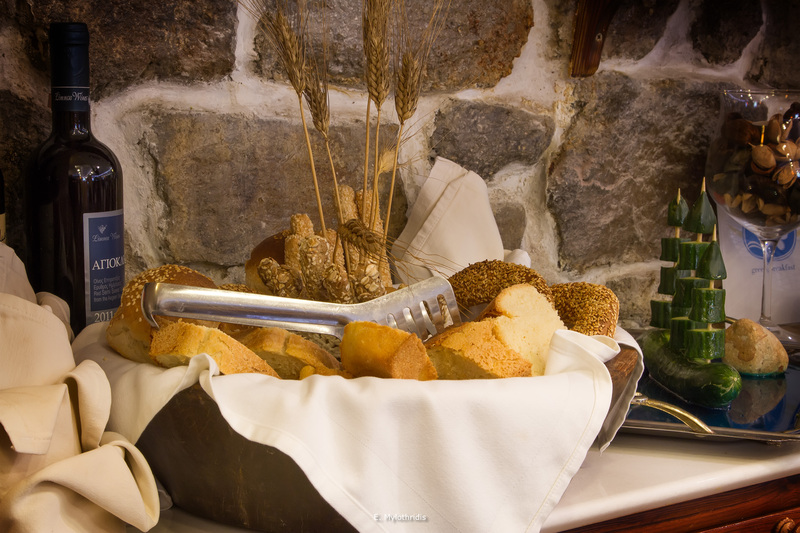 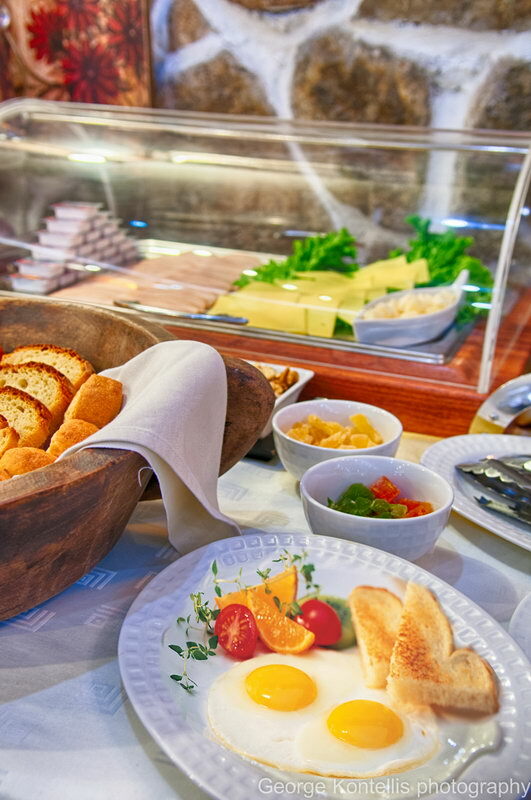 Of course, the buffet would not be complete without the cheeses of Limnos (“feta” and “melihloro”), accompanied by wheat rusks and bread sticks. 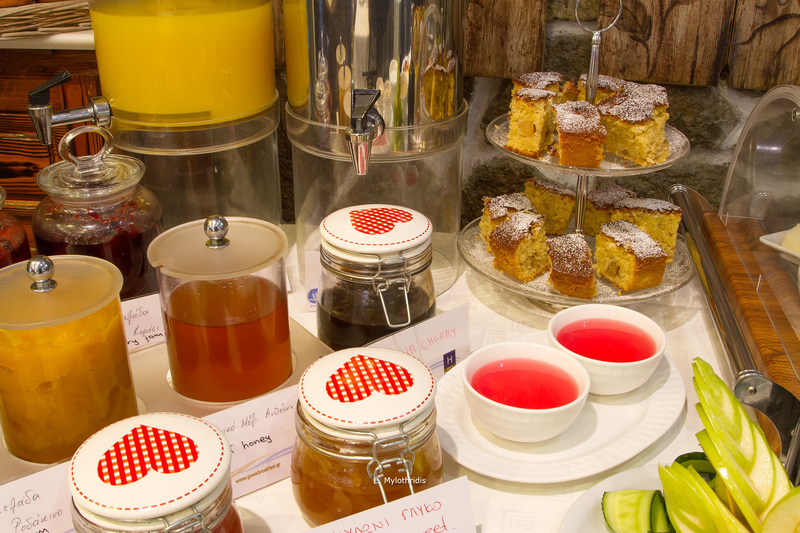 There are also homemade cakes, cereals, cheese and ham, small sandwiches, fresh, free range boiled eggs. 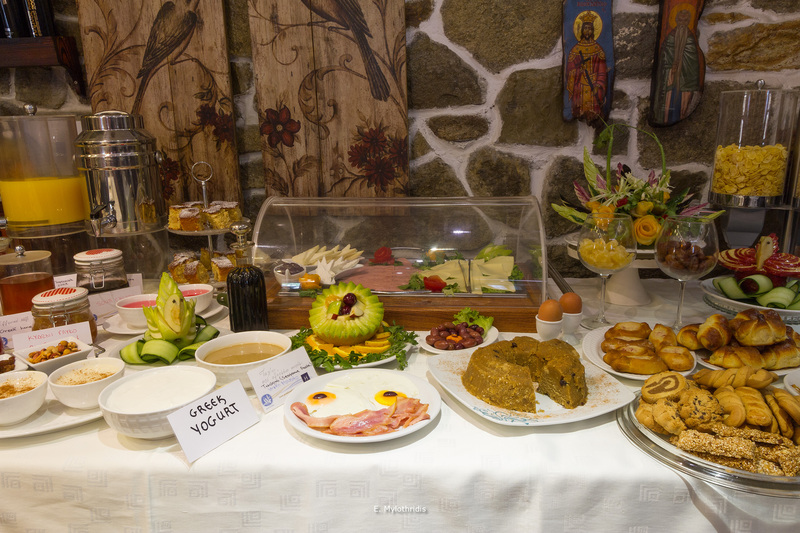 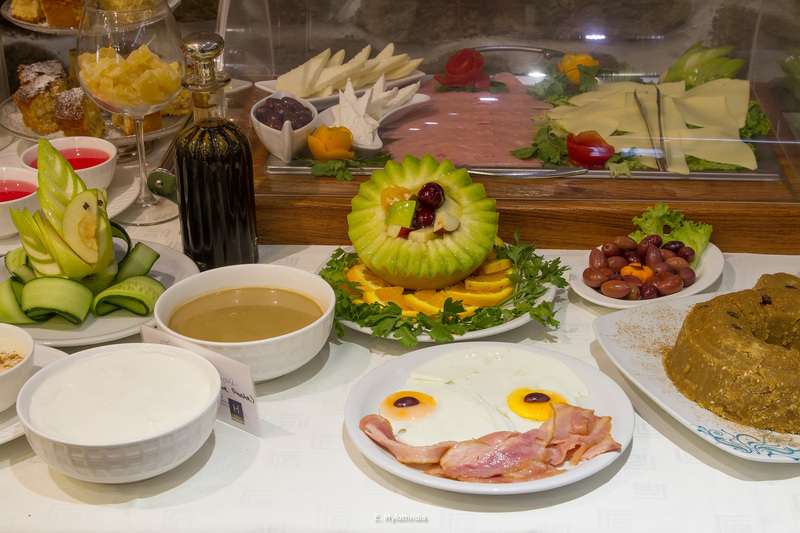 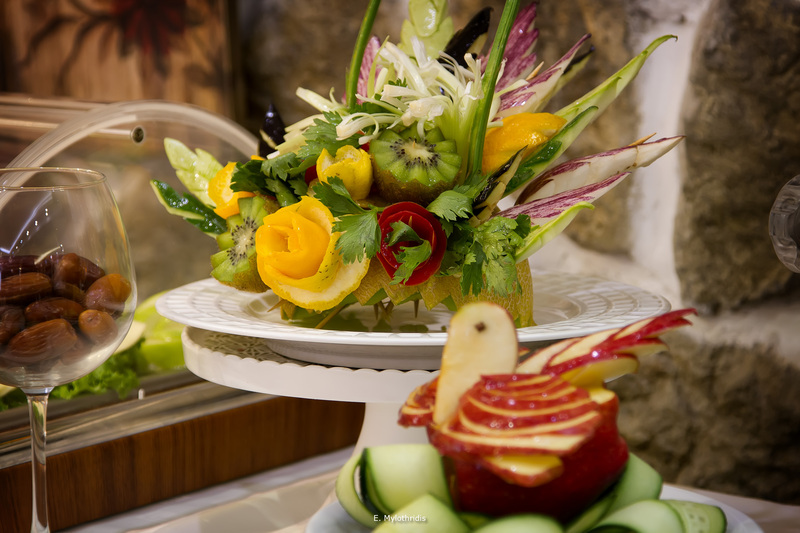 In order to satisfy everyone, “trahano” and “flomari” are served as well as omelets with fresh vegetables of the season. 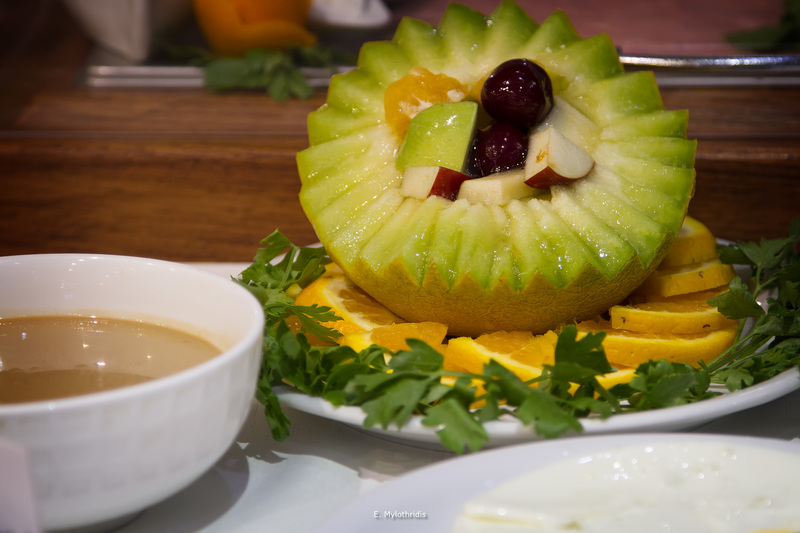 Daily making of a home made pie with different ingredients each time like zucchini, various cheeses and herbs as well as baking a cake.